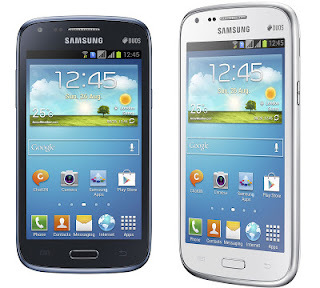 Another release from Samsung Mobile, the Samsung Galaxy Core DUOS along with the mid player devices Samsung Galaxy Win, Grand, S Duos. Although Samsung Galaxy Core DUOS has some identical specification with the previous releases, it still have some features under its sleeves, presenting Smart Stay, Smart Alert, S Voice, Best Shot, and Dual Sim Dual Standby. Samsung Galaxy Core DUOS is not as expensive as Samsung Galaxy S4, but the good news is Samsung Galaxy Core DUOS can do almost what SGS4 can do. Samsung Galaxy Core DUOS also have quad-core processor and a huge 1GB ram, enough to fulfill your gaming and entertainment needs. Samsung Galaxy Core DUOS is priced at Php11,990 SRP. is there any specific sim card to be used in samsung galaxy core phones? kindly email your response at mendoza.ks@gmail.com. thank you so much. coz my old globe sim does not fit the size. thanks! You will need micro sim card for the SGCORE. dapat sna gnwa nlng nla 2000mAh ung batt. nya. Kahit maliit lang capacity ng SGCore sigurado akong tatagal yan, been using Samsung Phones, at talagang subok na matibay at matagal ma lowbat.